Long ago, if you were in need of metal fabrication or welding, you likely had one place to choose from. Nowadays, however, most cities have a number of local metal fabrication shops, which means you now have to do a little research to make sure you are finding the perfect match for your needs. 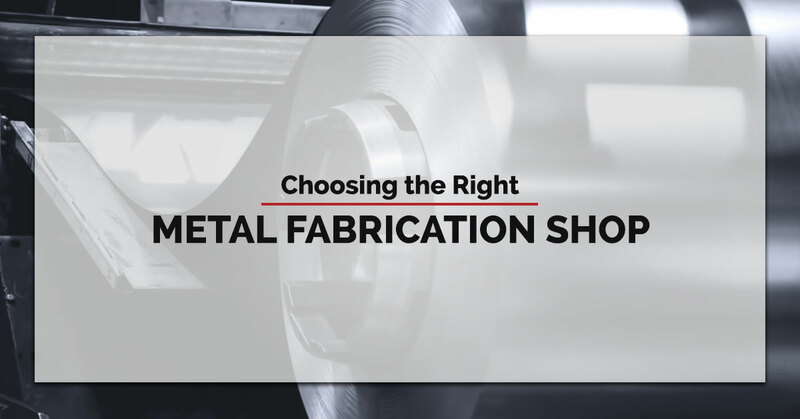 Whether you need turn-key metal working, CNC machining, robotic welding, plasma cutting, or some other fabrication service, your metal fab shop should be able to meet these needs. To ensure that you find the right partner for you, we at Fort Miller FAB3 have put together this short list of things to consider when looking for the optimal partnership. Contact us today for all your metal fabrication services. Though you don’t need to know every aspect of your project, you should have a general understanding of what you need. Admittedly, this can be hard, especially since most metal welding and fabrication shops have so much to offer. But, at the very least, you should have an idea of the scope of the job—how much work you need to be done—and when you need the job done by. When it comes to guidance, this is the bare minimum and any additional information that you can provide will help produce better results and keep your metal fabricator’s blood pressure down. With all this being said, we also think it’s important to be flexible and to consult with fabricating engineers. Oftentimes, these engineers have years of experience and have quite a few tricks up their sleeves when it comes to optimizing production efficiency. Before you submit your project to your fab shop, be sure to solicit the opinion of your fabrication experts. They may be able to offer recommendations or slight modifications that can drastically refine the process, giving you a better overall product in a more efficient manner. On top of this, quality fab shops should have processes in place to ensure that you know exactly what you are getting when you submit a project. At FAB3, for example, we can create a 3-D foam model to help visualize the final product and ensure you are making the correct production decision. When you outsource work, you put the reputation of your organization in their hands. This is why we at Fort Miller FAB3 see the work we do as a partnership. With the stakes so high, it’s crucial to do your research and to not just accept anyone’s proposal. Read reviews, ask for references if necessary, and insist on taking a tour of their facility. Most fab shops who consistently produce quality work will have no qualms about satisfying these requests. In fact, they will probably be excited to share with you a process that they care about so deeply. Ask about difficult projects, instances where they weren’t able to meet expectations, and areas on which they are trying to improve (the reason for asking these questions is that they can reveal how they view customer service, their ability to deal with adversity, and their standards). Similar to the last suggestion, the customer service of a company is strongly indicative of their overall quality of work. If you have been involved in any way with the metal fabrication industry, you know that nothing about metal fabrication is easy. It shouldn’t be taken for granted that anyone who claims to be able to perform a job can do it to your standards. When looking for fab shops, take note of their customer service and ask questions about what they offer and how they rectify potential problems. Not only do you want to take note of how they answer your questions, but you also want to be aware of the questions they ask you. Do they seem to have a firm understanding of your needs? Are they excited about the project? Though it is not always the case, these factors are often related to the quality of their work. Keep these suggestions in mind when looking for professional fabricators. This will help better your odds of finding a fab shop that values transparency, doesn’t miss deadlines, listens to your needs, and is doing superior, passion-driven work. If you are in the New York area and looking for expert fabricators, do not hesitate to contact us. We take great pride in our work, and this relentless pursuit of perfection is evident at every stage of the process. Whether you need turn-key metalworking, bending, plasma cutting, or some other fabrication project, we are poised to help and to establish a fruitful, long-term business partnership.